The company was established in 2011. 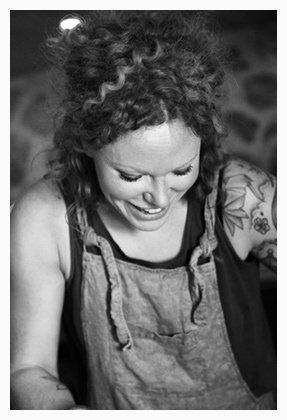 Lucy took over as Sole Director in April 2014 and shortly after, THE PANTRY MAID was born. THE PANTRY MAID is fortunate to be able to work with an incredible team of people, learning something new from each one. We take pride in selecting the right person(s) for each job, whether it’s a team of Tour Caterers, someone to look after the Dressing rooms/Backstage area, or even a private gig off the road, each job will be tailored specifically and perfectly for you. Our menus come from all over the world, that is the beauty of travelling so much, experiencing different cuisines and collecting recipes along the way. "From Manchester to Kiev, Helsinki to Rome, Be'elzeGrub's healthy and delicious menus kept even the hungriest roadies smiling". It’s not rocket science… Proper Nosh & Fodder goes a long way on the road. Throw in good people with even better attitudes, working together to transform even the most uninviting backstage areas into a ‘home away from home’ for artist and crew and there you have it. “Fresh, Healthy, Creative Cuisine and Sinful Desserts… The staff are all lovely and really do become part of your tour family instantly. I won't tour again without them."